Storage and temporary mooring of boat/yacht up to 100 feet is possible. After arrival you need to submit the following form. Please download from the following. 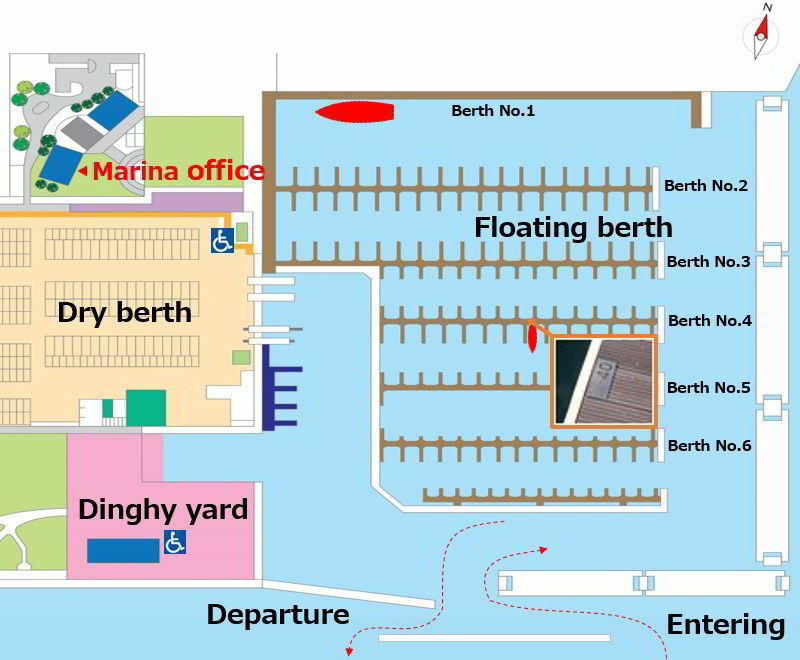 The vessels are generally guided to Berth No.1, but at times may be guided to other berths (Berth No.2 to 5). Please moor your vessel at the end on the west side of Berth No.1 or at Pier 40 of Berth No.4. Complete the post-mooring procedures at the Marina Office. When you have put into this port, please make sure to inform your entrance into the port and submit your clearance inward documents (general declaration and crew list etc.) to Customs immediately. Failure to submit those documents to Customs may cause you punishment based on the law of Japanese Government. Japanese Site Copyrights © Hiroshima Kanon Marina All Rights Reserved.